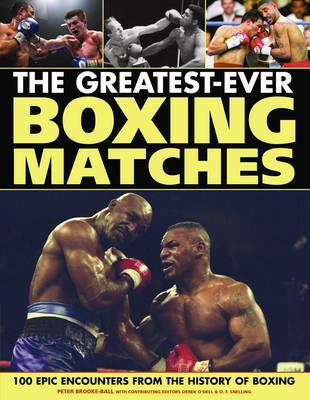 This title includes 100 epic encounters from the history of boxing. It includes topics ranging from the bare-knuckle fights of the nineteenth century to the big business of the modern era: over a hundred years of memorable boxing matches. It features chronological accounts of famous fights that chart the progress of the champions. It looks back at the landmarks in world boxing history, including the evolution of boxing rules. It is illustrated throughout with action-packed photographs and original press material. This volume tells the story of boxing through the contests that form the core of boxing lore - from the professionally trained pugilists of the classical era, who fought to the death with vicious studs strapped to their wrists, to today's heroes and their lives of riches and stardom. Eighty encounters are covered here in detail, each famous for either its savagery, artistry, controversy, rivalry, spectacle, or the size of the prize money. This is the ultimate companion for any serious boxing fan. Thousands of facts, stories, anecdotes and statistics make it a superb reference source, while over 250 illustrations bring to life the passion of the greatest moments in the sport's history.